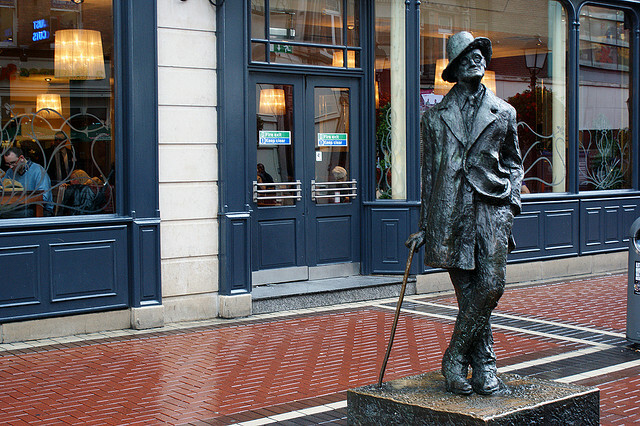 Dublin is littered with statues. It seems close to a national obsession in Ireland to erect them. Perhaps not far behind is the predilection of the inhabitants of this fair city to give them nicknames. 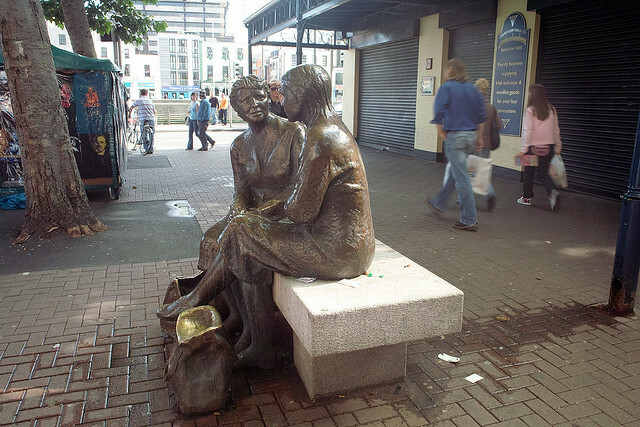 A stroll near the Ha’penny Bridge will bring you to these two charming ladies, having a rest after shopping for their families. 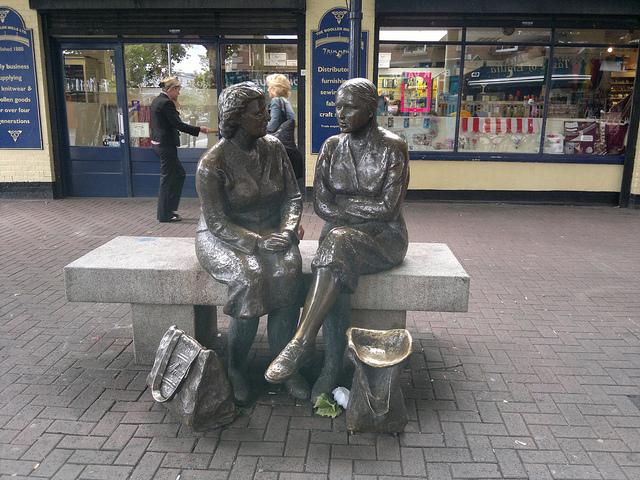 They were placed there as part of a project to celebrate the millennium of the city in 1988 and represent the ordinary women of the city. Charmingly (or not) one of the bags was snatched a little while after the statue was placed there. What statement the unknown thief was making is unknown but the bag was made of bronze and it was very, very heavy. Fortunately it was returned, but what of the local nickname for this amiable salute to the womenfolk of Dublin. Why, the ‘Hags with the Bags’ of course. 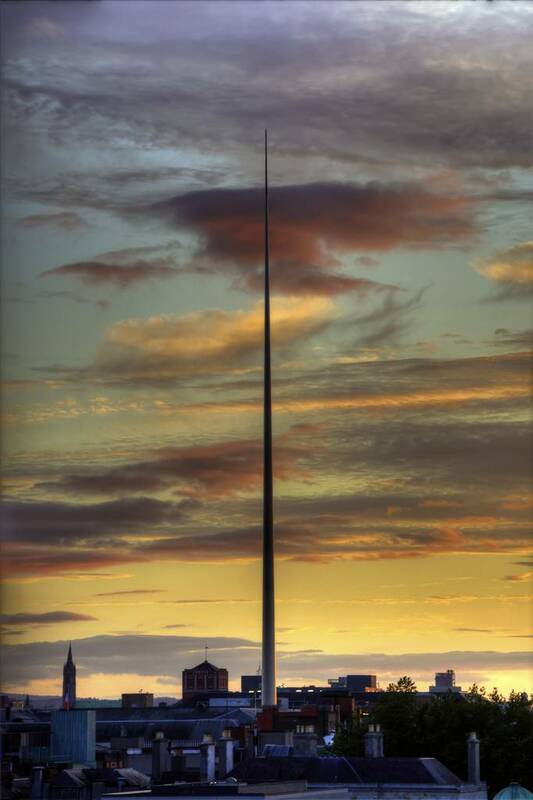 This huge erection – The Spire of Light – is in six sections and towers over one hundred and twenty meters. It is on the site of the former Nelson’s Pillar on Nelson Street (blown up by the IRA and its remnants known for years after as “The Stump”). It is also large, made from stainless steel, pin-like and stands there like, well, a great big stainless steel pin-like standing thing. The architects envisioned an "Elegant and dynamic simplicity bridging art and technology”. 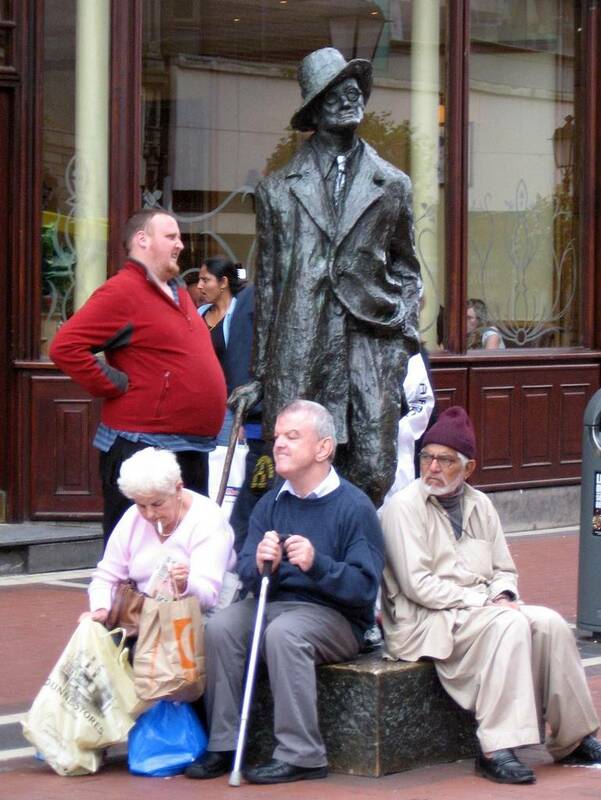 Dubliners see “The Stiffy at the Liffey” and “The Erection at the Intersection”. In a passing nod to the once rather tatty appearance of O’Connell Street it was also known as “The Stiletto in the Ghetto”. 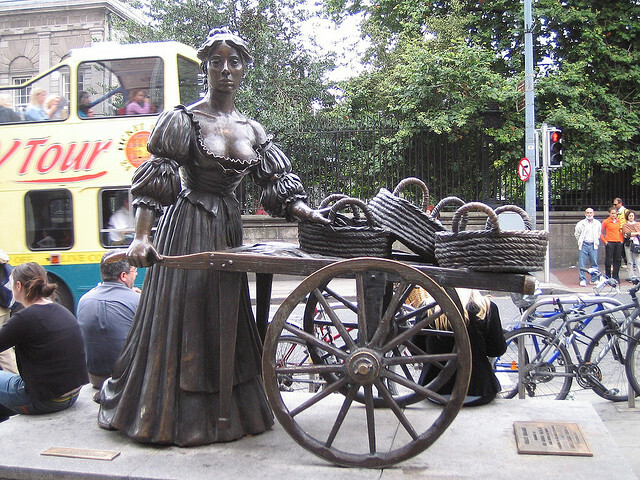 Molly Malone – or Mol Ní Mhaoileoin as she is known in the original language of the Irish is one of Dublin’s most famous citizens of the past, even though her true identity will probably never be firmly established. 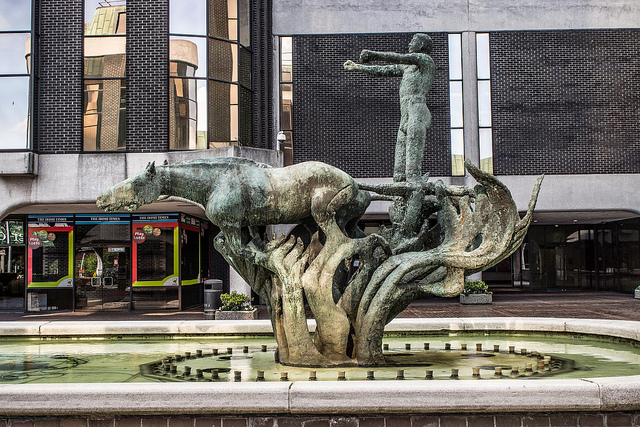 The millennium of the city afforded Dublin the opportunity to properly remember her with a statue, even though by 1988 the city was over a thousand years old but dates do not necessarily have to be adhered to when it comes to an Irish party. 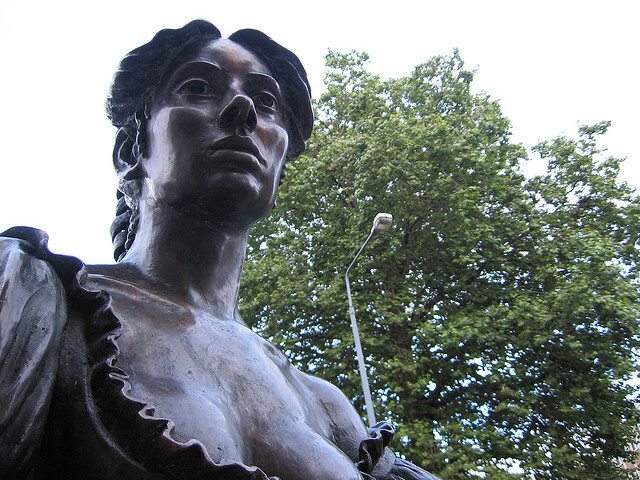 The sculptor has endowed Molly with mammaries at which to marvel which no doubt reflects that the fact that her eponymously titled song is hollered by supporters of the Irish International Rugby Team at their matches. The nicknames for this statue? One or two unpublishable and unmentionable of course, but she as variously known as ‘The Dolly with the Trolley”, “The Trollop with the Scallop”, “The Flirt in the Skirt” and my own particular favorite, “The Tart with the Cart”. 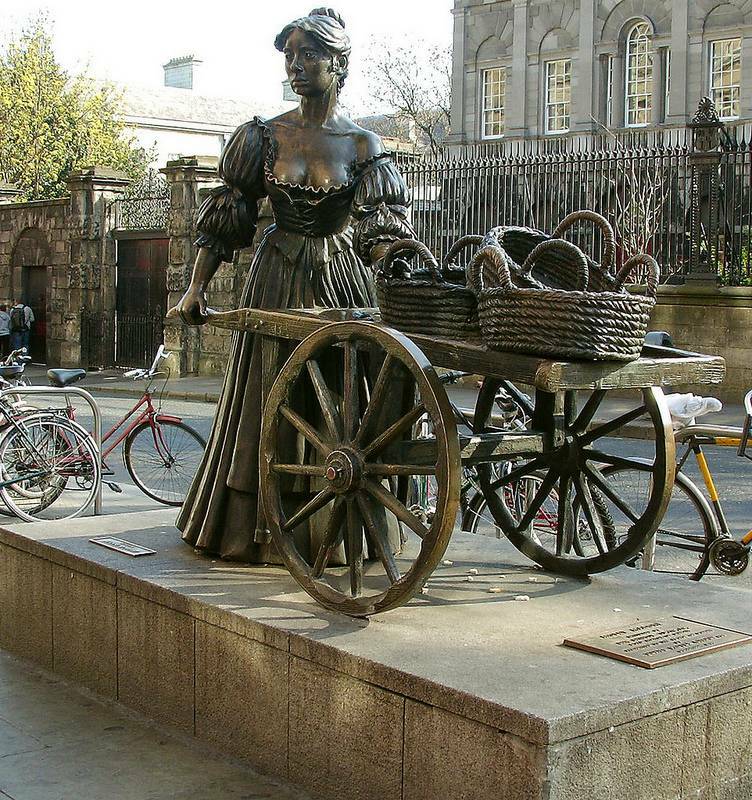 And that was the end of poor Molly Malone. A river runs through it – almost literally. James Joyce is responsible for a number of things but one must wonder whether he would wish to take responsibility for this. 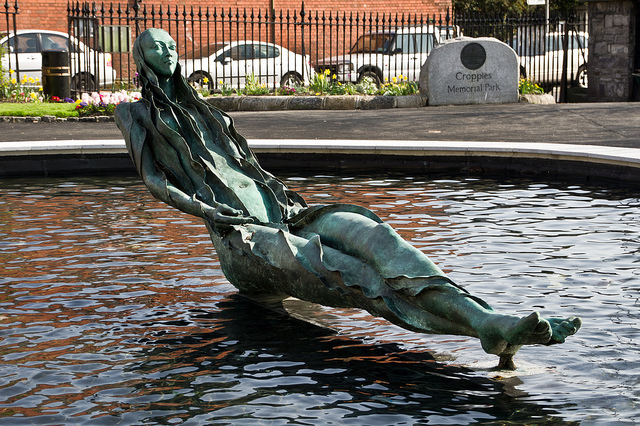 Anna Livia Plurabelle appears in his novel Finnegan’s Wake and is the living embodiment of the River Liffey. So far, so Joycian. 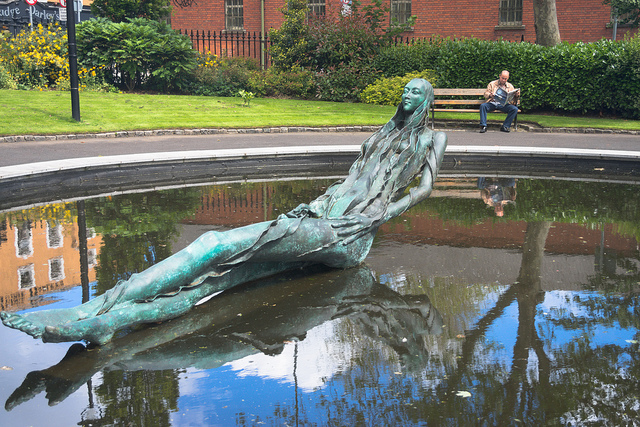 This piece of art shows a young reclining woman, with the waters of the river flowing around her. It attracted a great deal of attention, let’s say and was eventually moved to make room for the Stiletto in the Ghetto. So, what did the Dubliners rename her? Two names of great distinction. The first, “The Floozy in the Jacuzzi” needs no explanation and rhymes marvelously. For the second name you have to try and adopt an exaggerated Irish accent and pronounce the word for a lady of the night (which rhymes with floor) as “Hoo-er”. Poor, Livia, destined to be known for all time as “The Whore in the Sewer”. 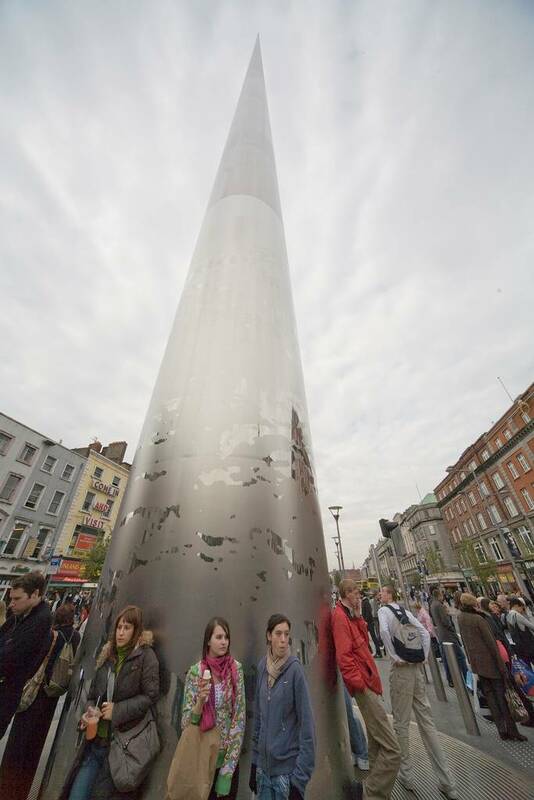 Staying with James Joyce for a little while it would be churlish not to mention this fine erection on the junction of North Earl Street, near the spire. Born in Rathgar, one of Dublin’s suburbs, the novelist is celebrated globally, his works including ‘Ulysses’, Portrait of the Artist as a Young Man” and the marvelous Hollywood musical “Finnegan’s Rainbow”. 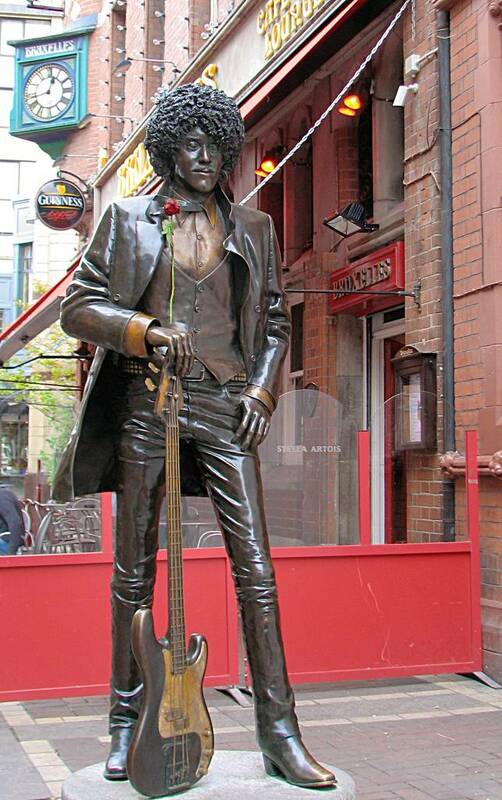 Fine, I lied about the last one, but how do the people of Dublin reward one of their most famous sons. The statue is fine, for sure, but the nickname? Nothing other than “The Prick with the Stick”. Oh dear, poor old James. Poor James, but what about old Oscar? You may well ask! 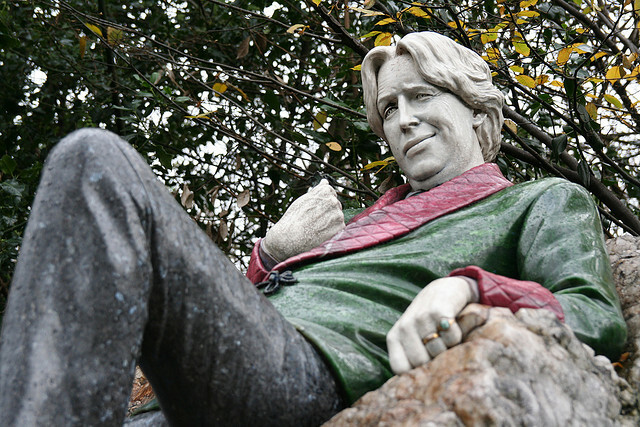 Although the Irish playwright spent a great deal of his time in England the country of his birth has chosen to honor him with a statue in Merrion Square. 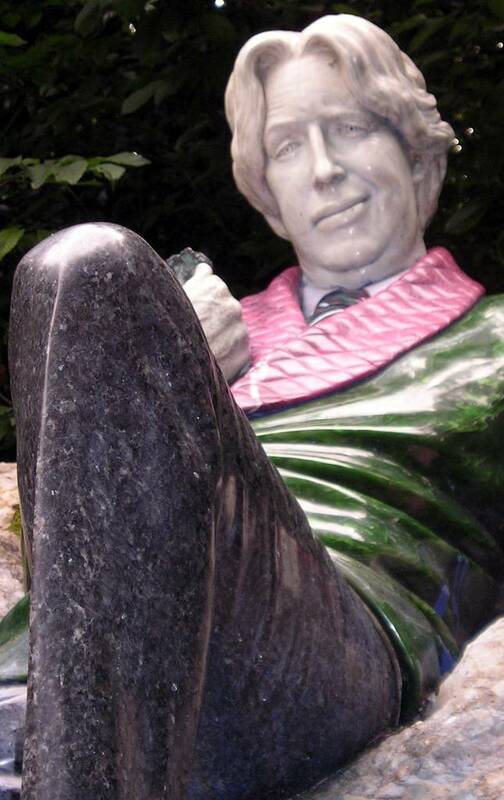 The author of “The Importance of Being Ernest” and “De Profundis” has a rather gaily colored statue, imposingly sprawled on a granite mound, by which to be remembered. It does have to be said that his recumbent position could be seen as somewhat expectant and perhaps a little provocative (I mean, cross your legs, Oscar...) but the nicknames for this work? Nothing less that “The Queer with the Leer”. A little cruel perhaps, but the alternative is “The Fag on the Crag”. 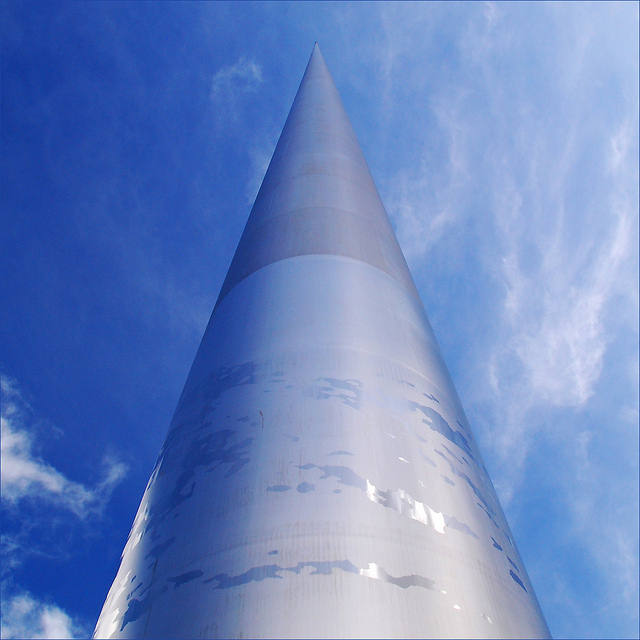 Before gay readers rush to cancel their holiday flights to Ireland it must be said that these are tongue in cheek names: most Dubliners have a great fondness for Oscar and enjoy some of the most liberal laws around sexuality in the world. 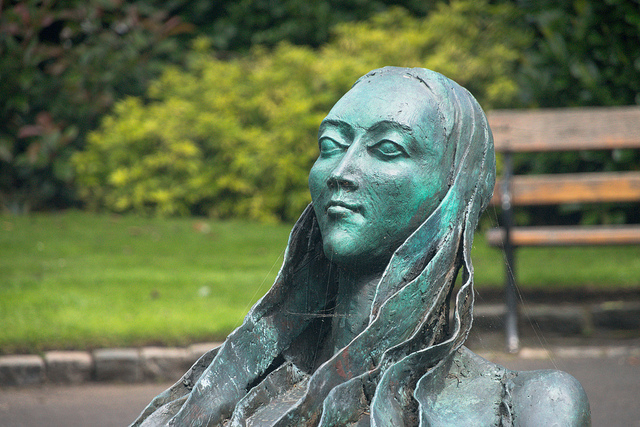 A corner of Saint Stephen’s Green has been put aside to commemorate the Irish Famine, known usually in Gaelic as An Gorta Mór. This period of the nineteenth century saw the population of Ireland reduced by between twenty and twenty five percent with a million dying and a similar number having to emigrate to escape an otherwise almost certain death. 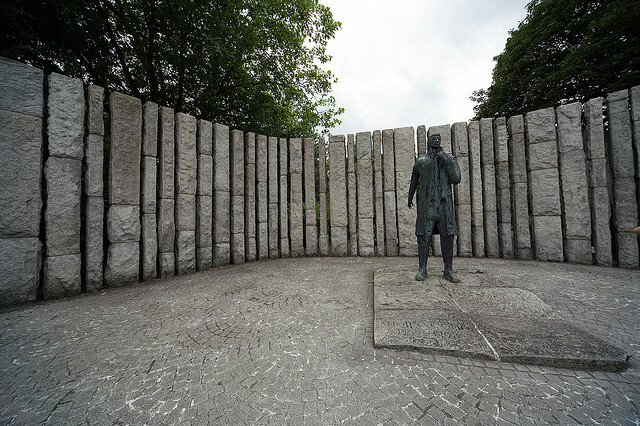 This semi circular set of pillars surrounds a statue of the eighteenth century father of Irish republicanism, Theodore Wolfe Tone. Although representing the bleakest period of Irish history, Dubliners can find humor in virtually anything. So, it only took a short while for the place to become known as Tone-Henge (Stonehenge, Tone-Henge, get it?). 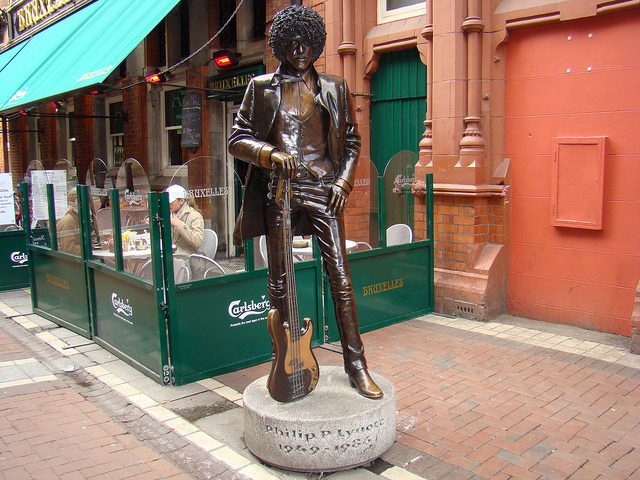 Although not Irish born, legendary Thin Lizzy guitarist Phil Lynott spent a large part of his youth there and it was Dublin where the band that made him famous was born. The band was formed in 1973 and although it lasted until the 1980s perhaps their best known hit was the 1973 classic “Whiskey in the Jar”. 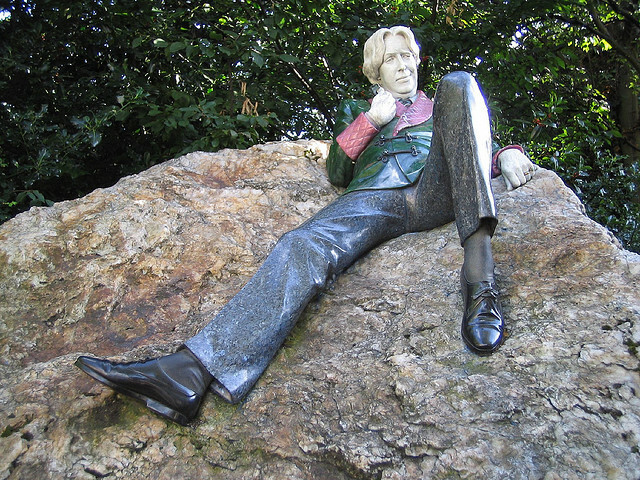 2005 saw this statue of him unveiled on Grafton Street. The popular name for the statue? 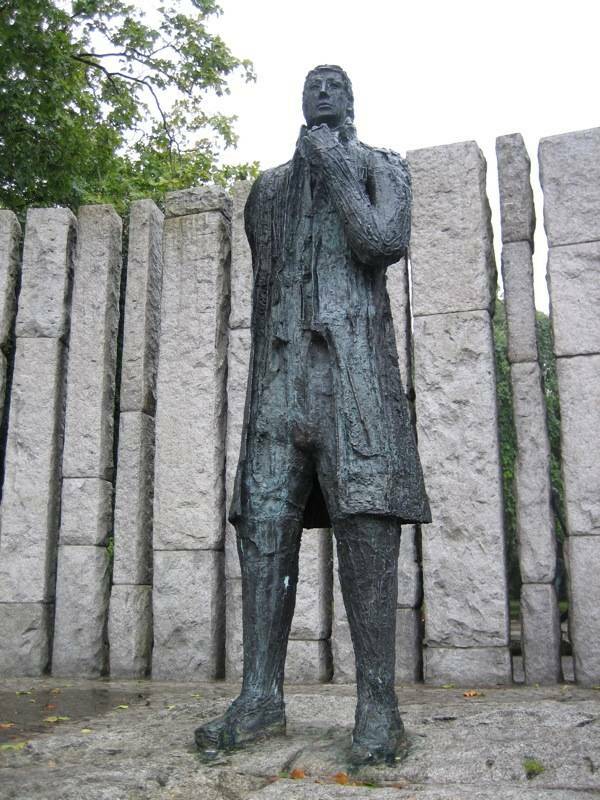 “The Ace with the Base” - somewhat more flattering than the nicknames given to many of the other statues of Dublin. We will leave this short tour here. 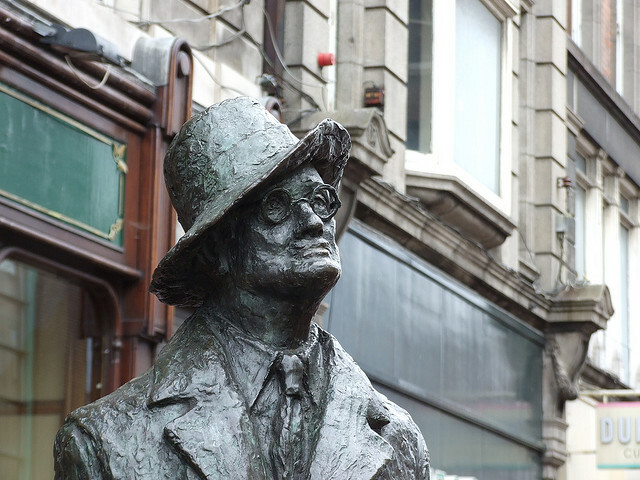 Although “Frankenstein”, “The Mad Milkman” (above) and “The Crank on the Bank” have been left out for the sake of space, they are also well work a look the next time you visit Dublin. Keep in mind one thing though. 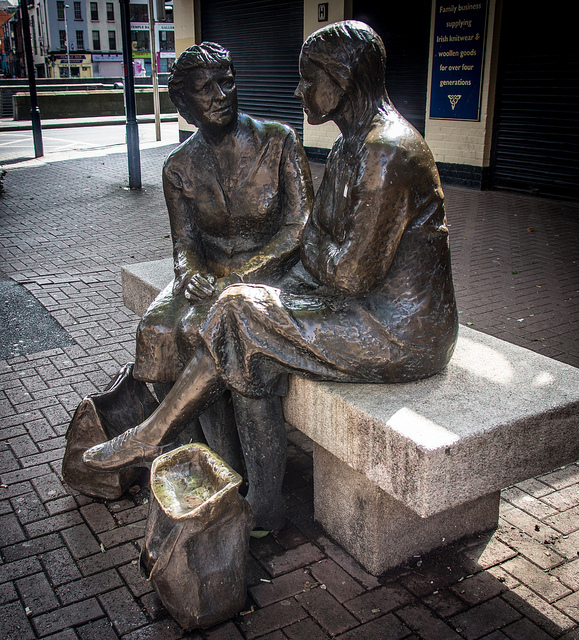 Whatever name you may be able to think of for the statues that are everywhere in Dublin, the chances are very high that a Dubliner has already thought of something better.